With tertiary level experience and training in both Nursing and Midwifery, Mia has a strong background in infant bonding, care and safety. Her passion for working with new families is what brought her to us at Baby Bubble Spa. She draws her knowledge and confidence, not only from her midwifery experience, but also from being one of six siblings! 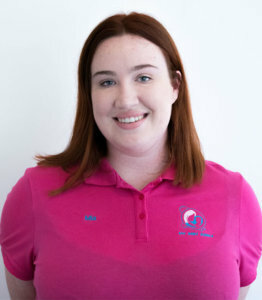 Mia has recently completed training in infant massage and water immersion and hopes to help create an environment that encourages strong bonds and relationships between families and the community.